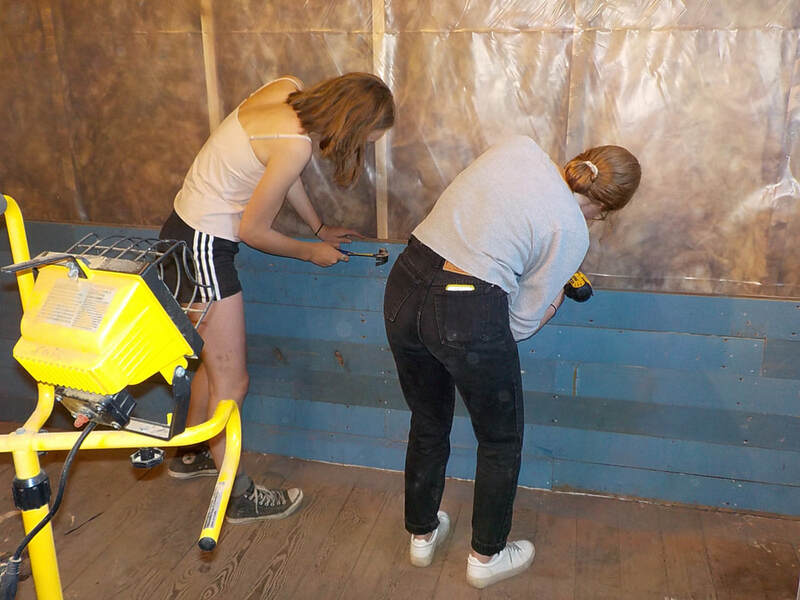 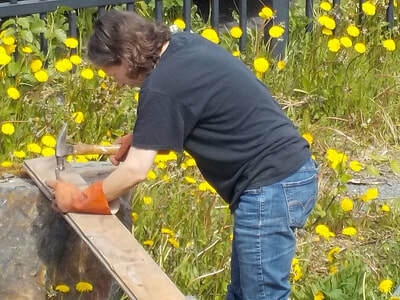 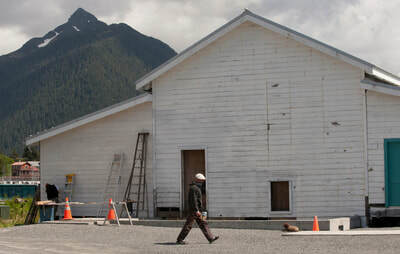 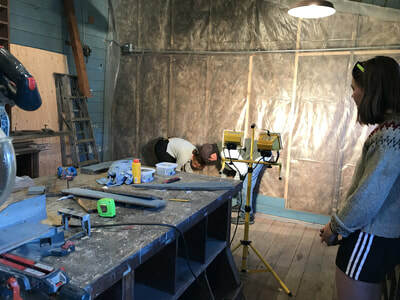 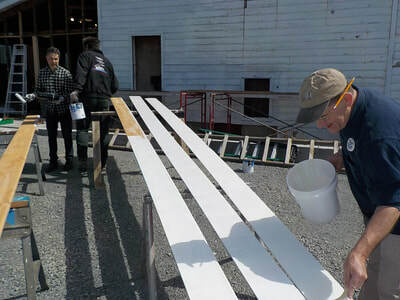 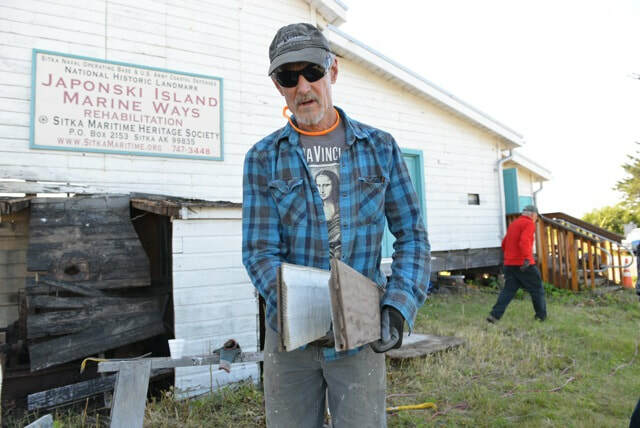 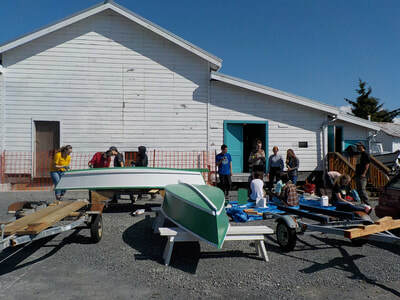 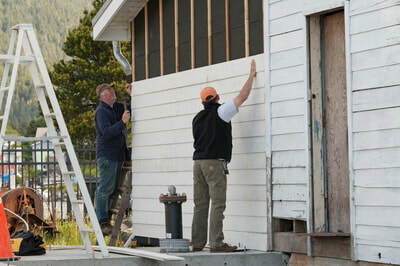 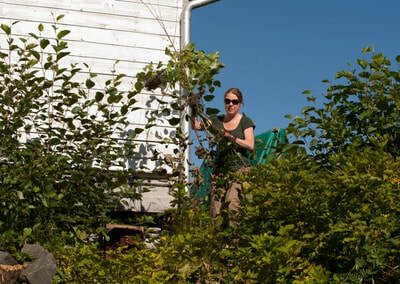 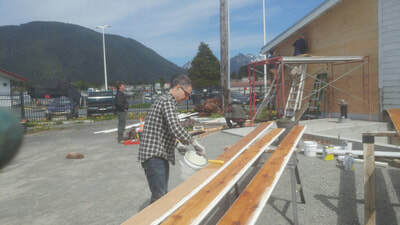 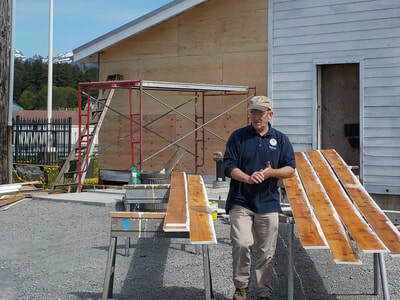 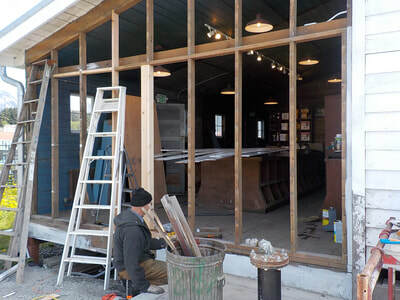 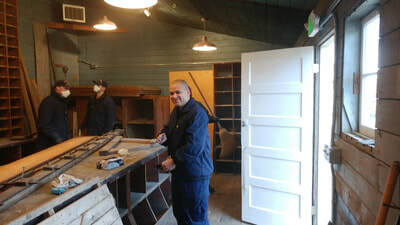 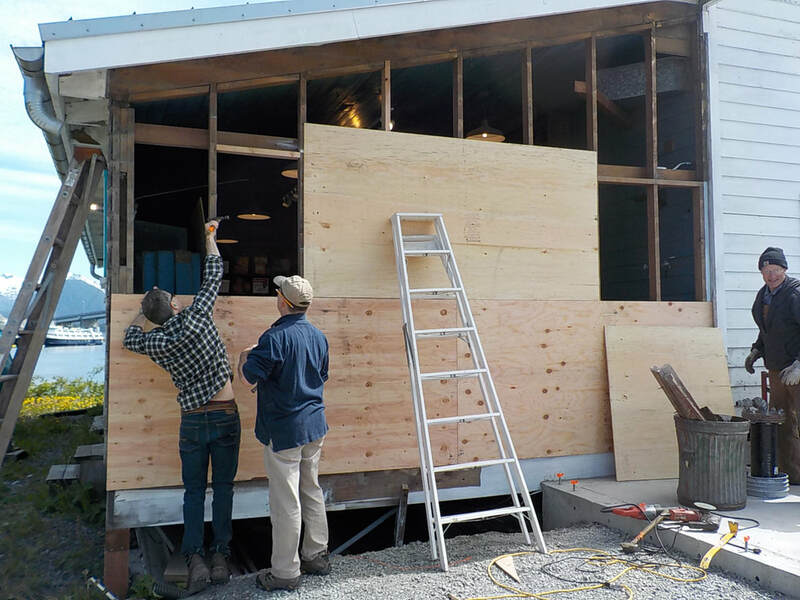 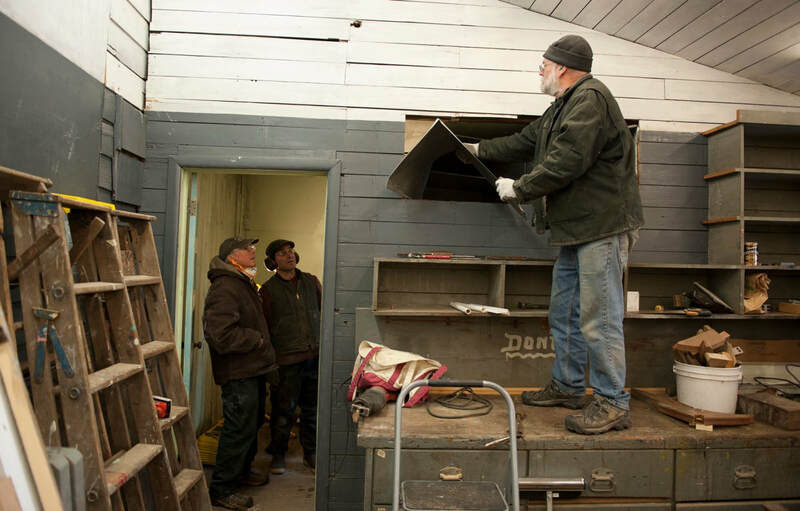 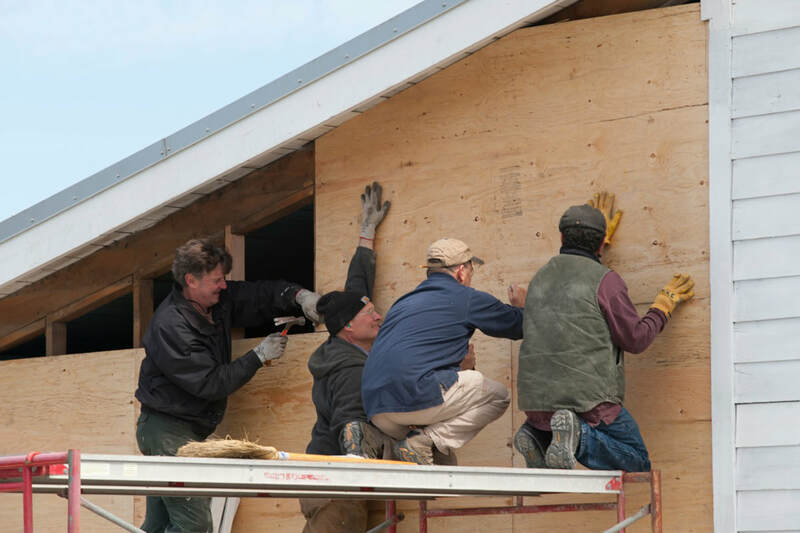 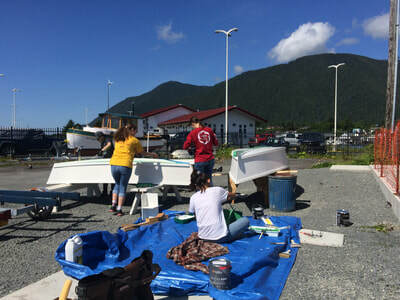 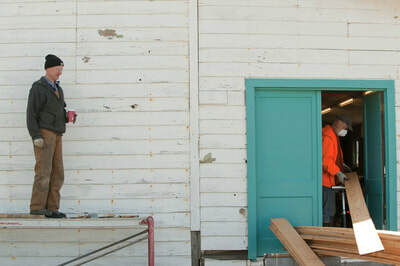 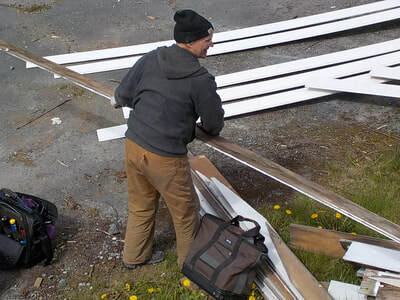 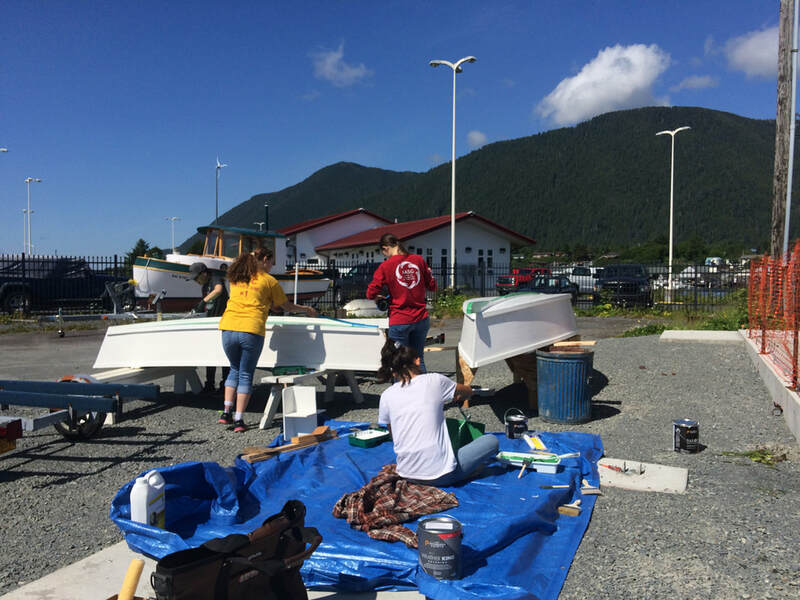 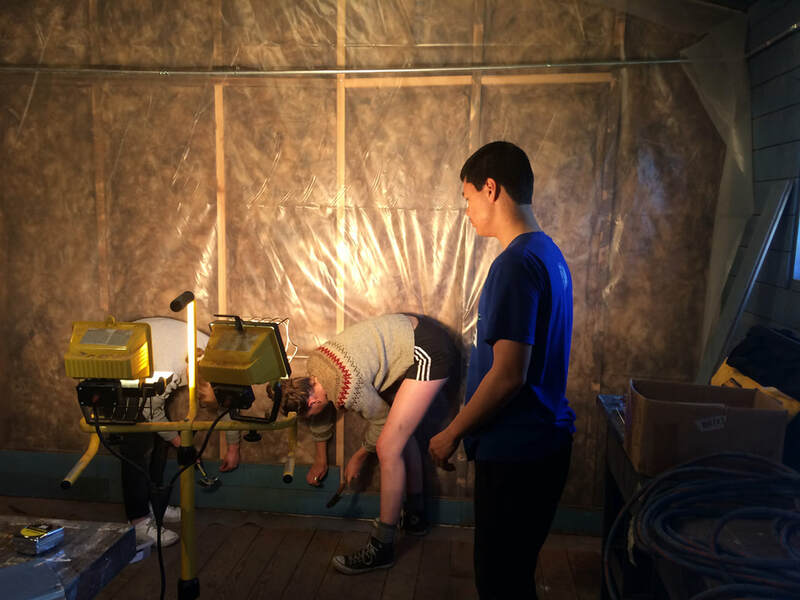 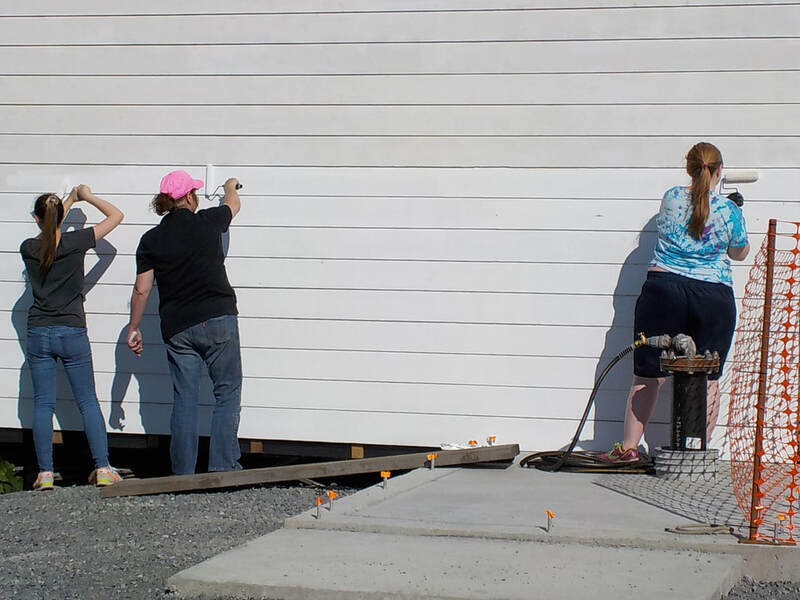 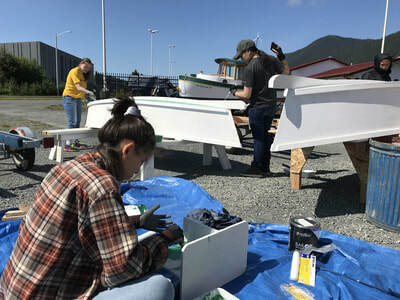 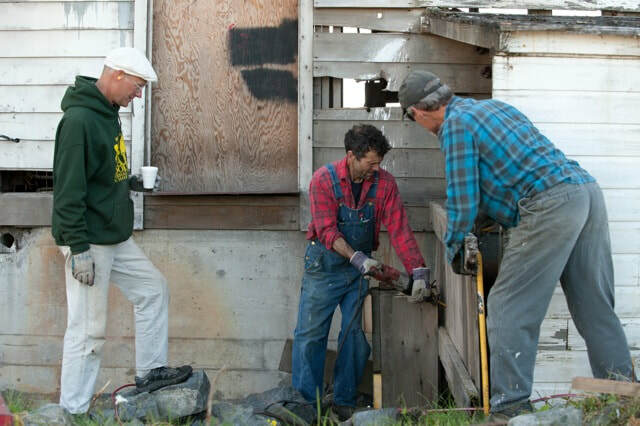 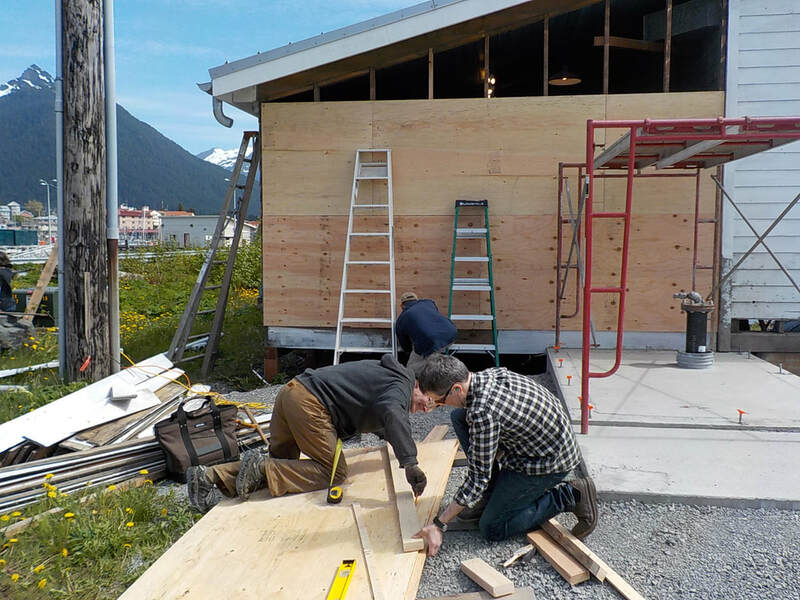 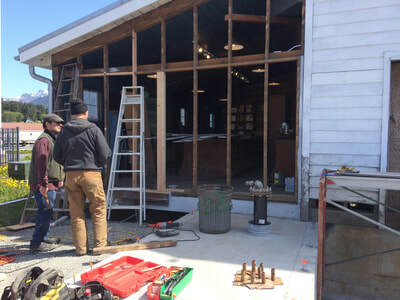 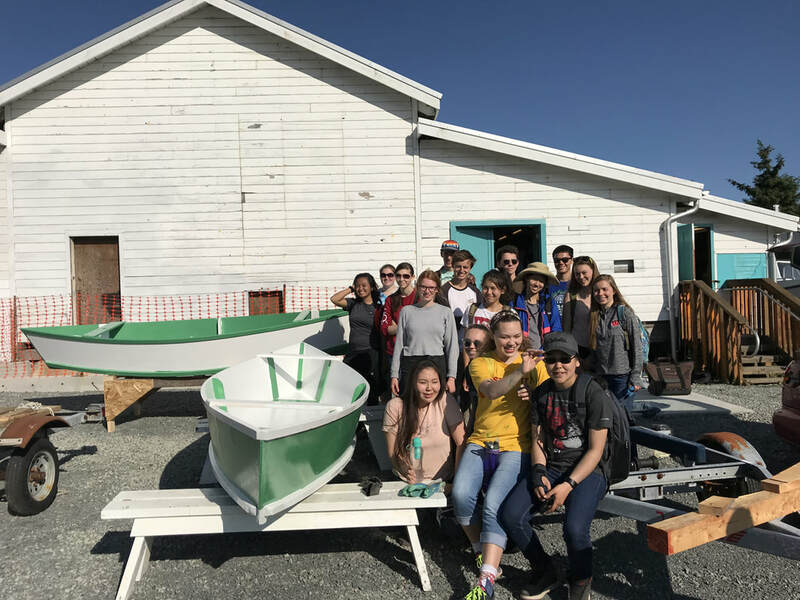 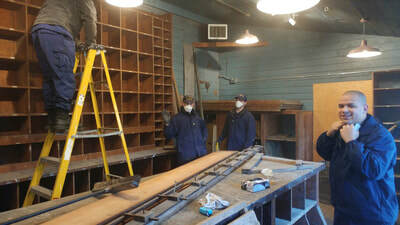 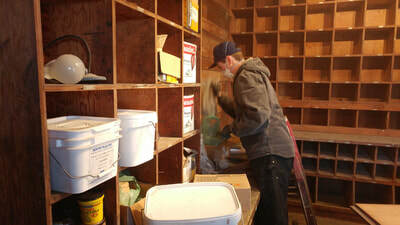 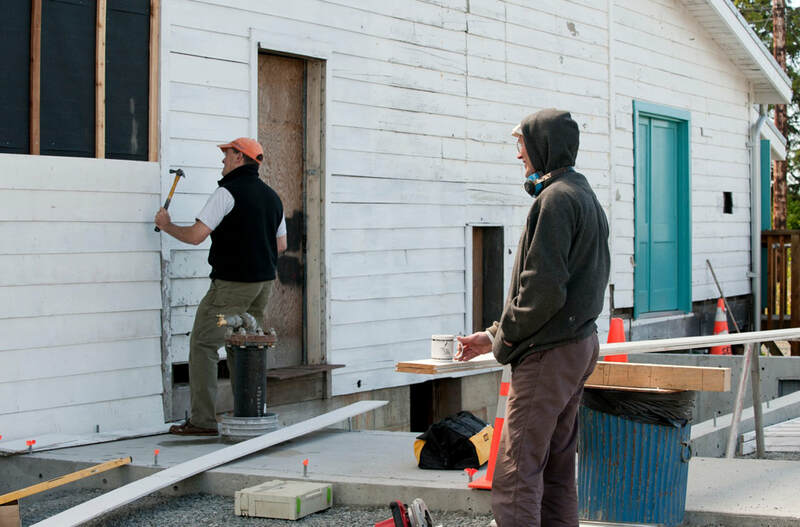 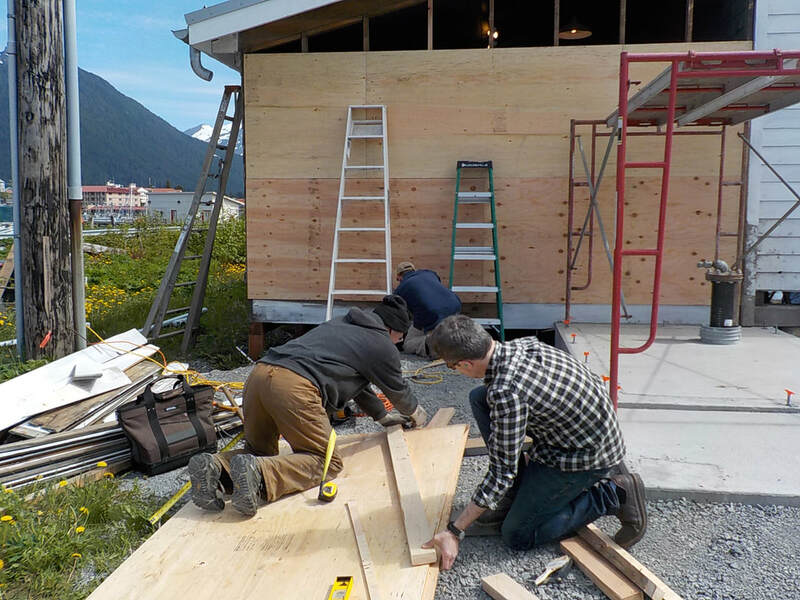 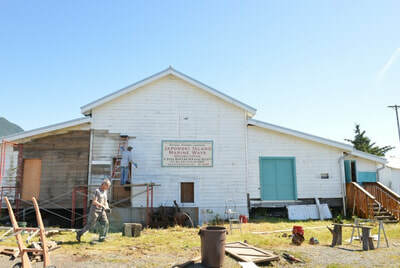 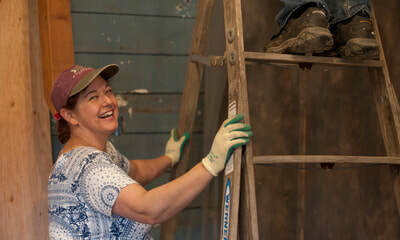 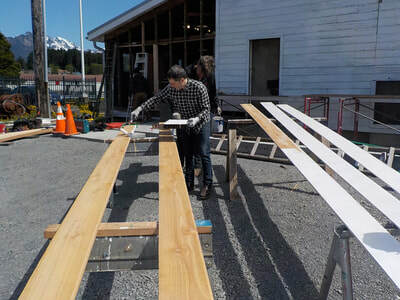 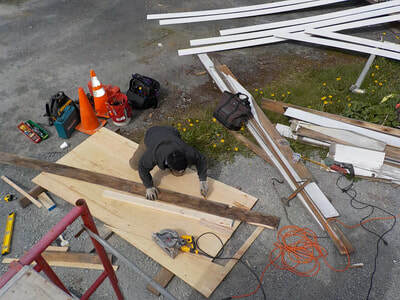 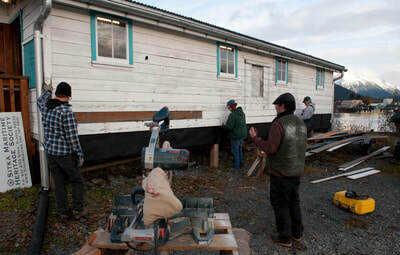 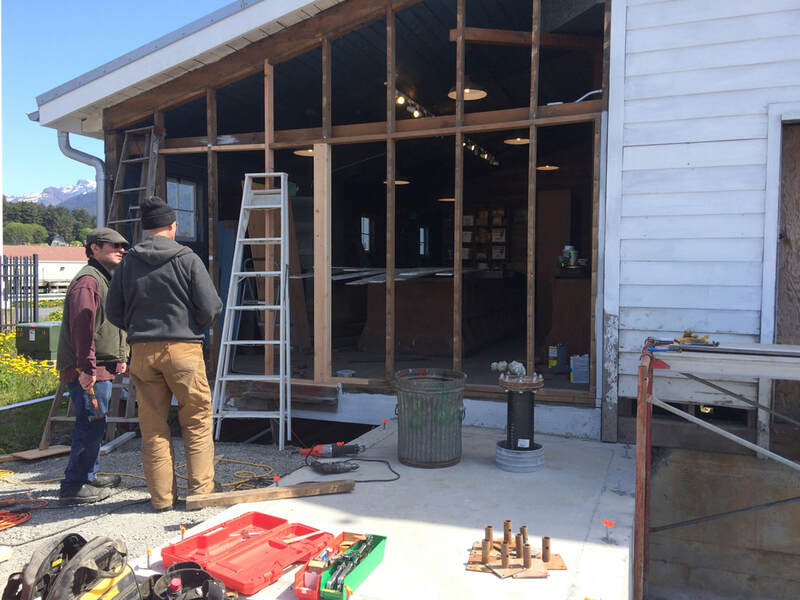 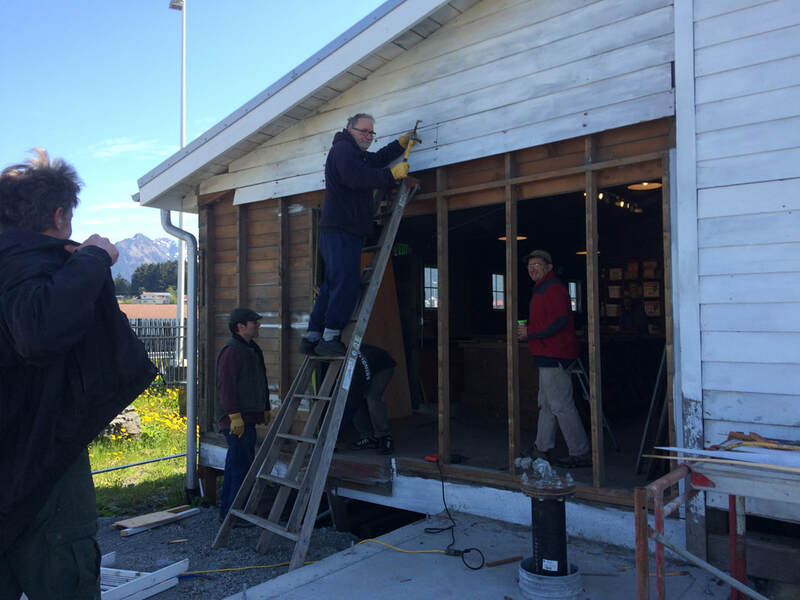 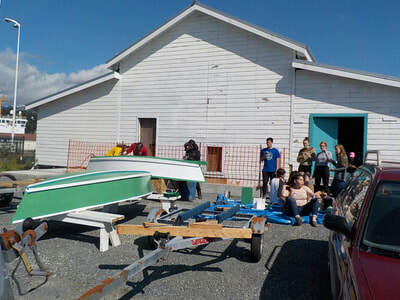 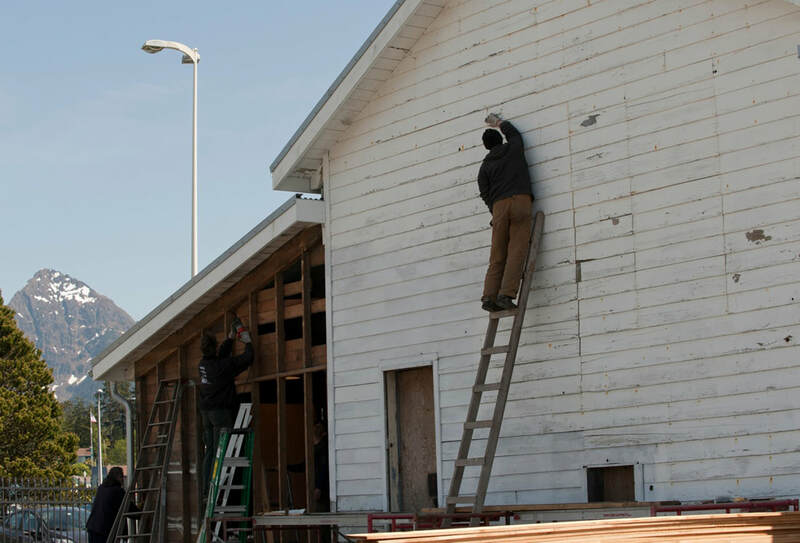 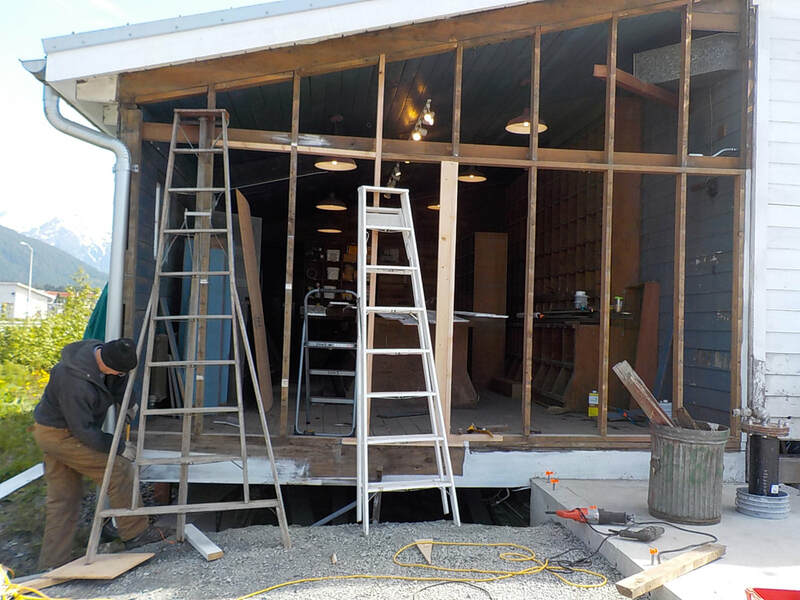 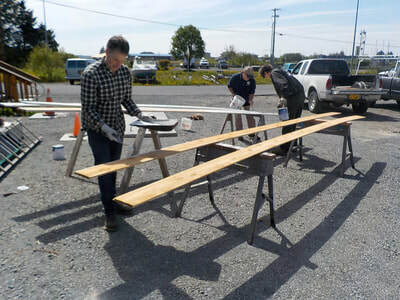 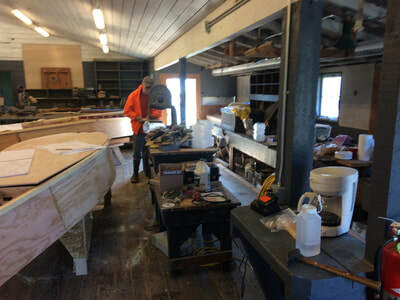 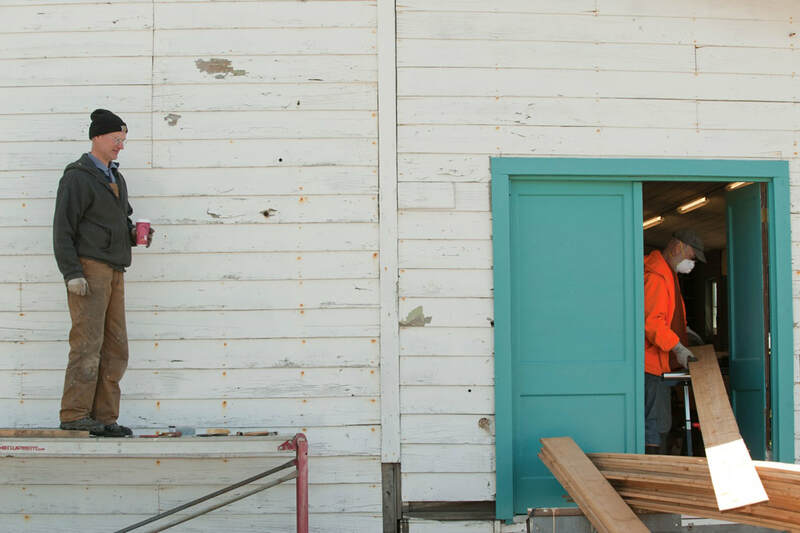 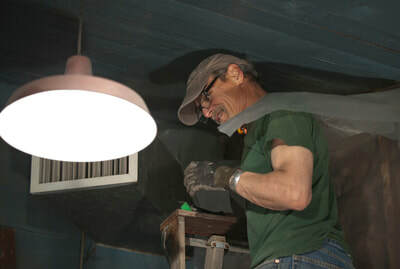 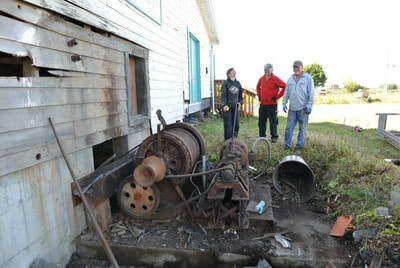 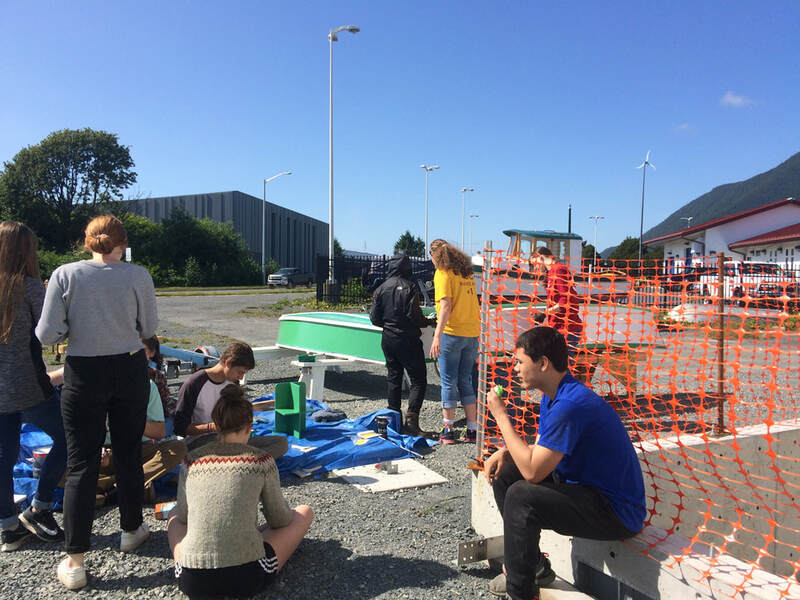 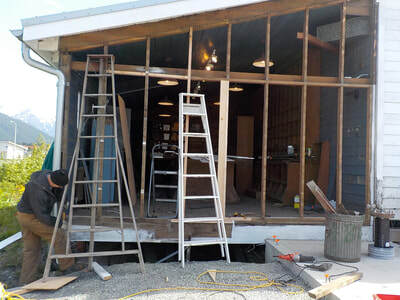 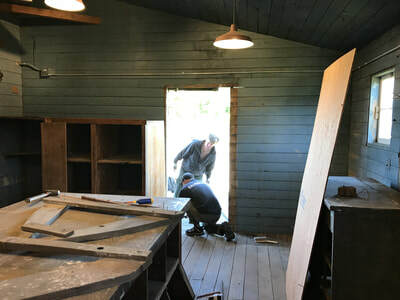 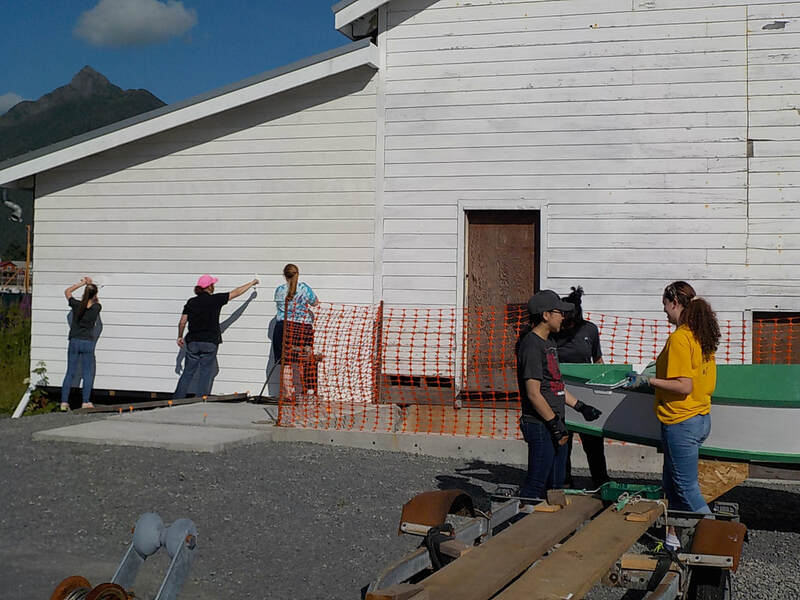 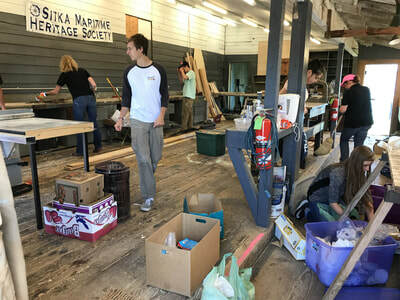 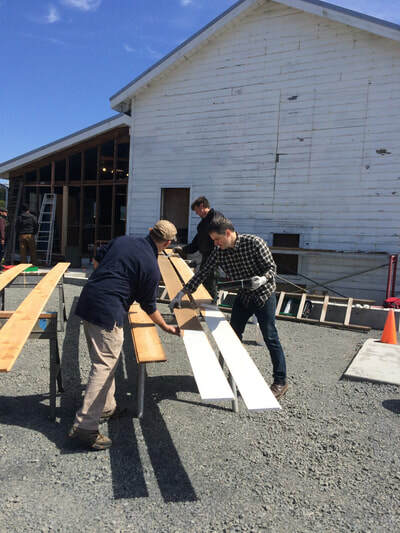 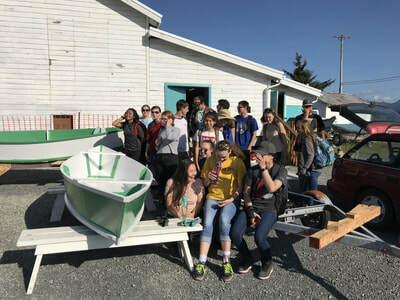 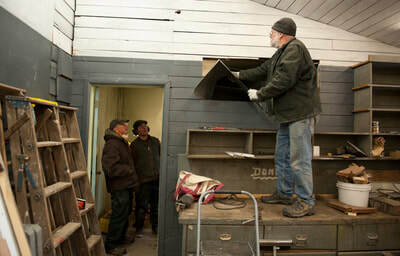 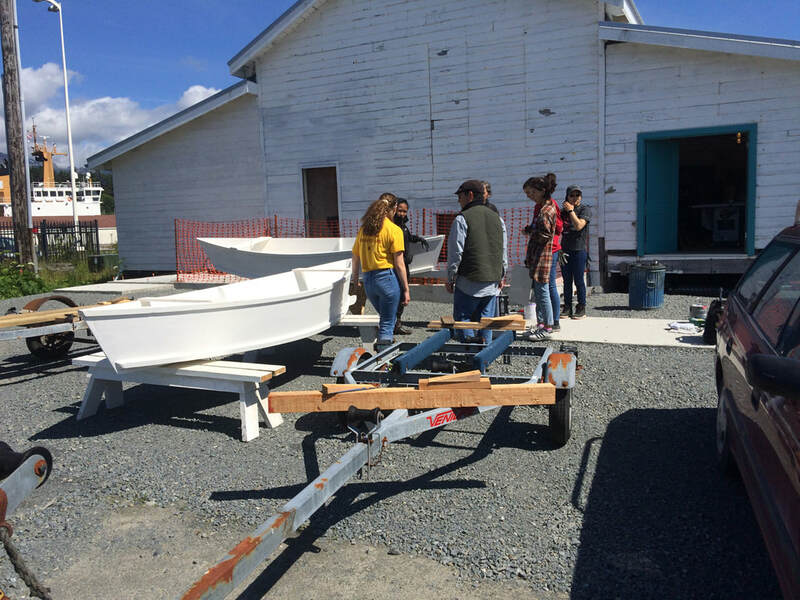 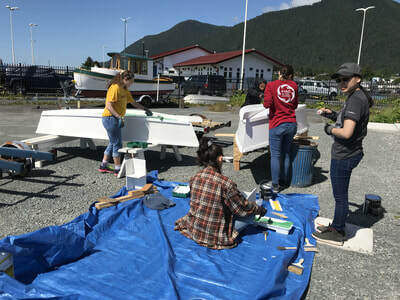 Thanks to all the great volunteers who are pitching in their labor to make the completion of the boat shop a reality. 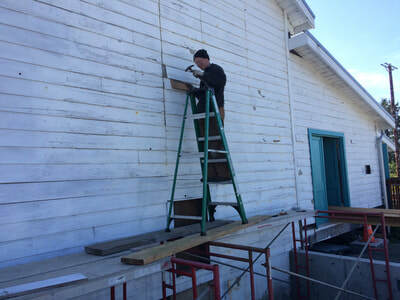 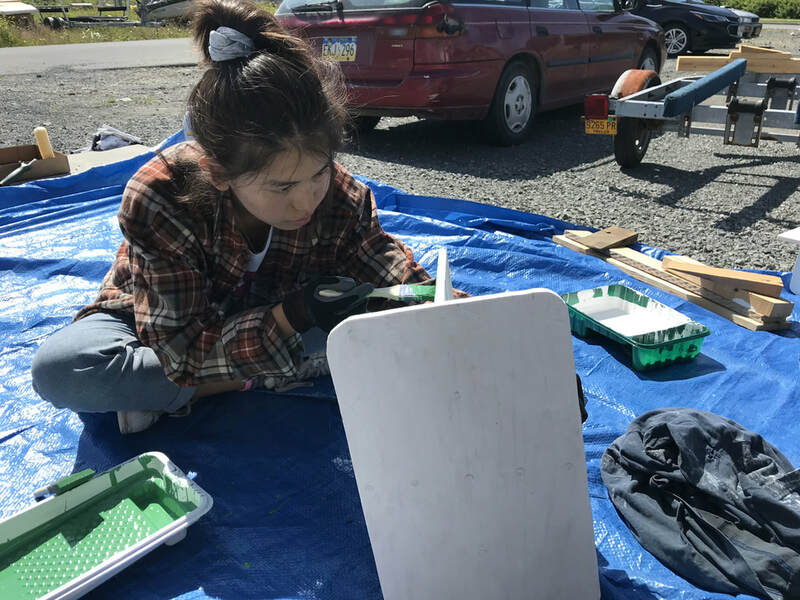 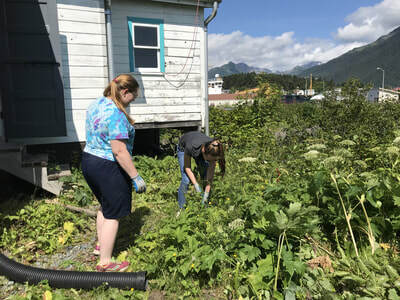 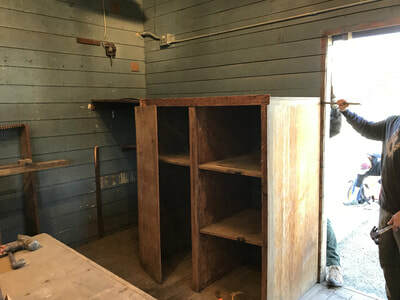 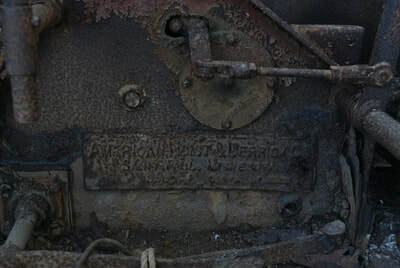 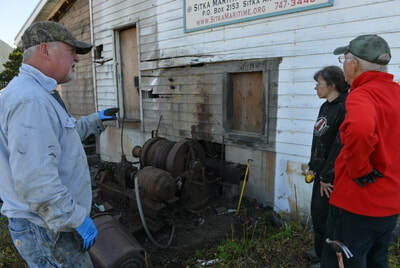 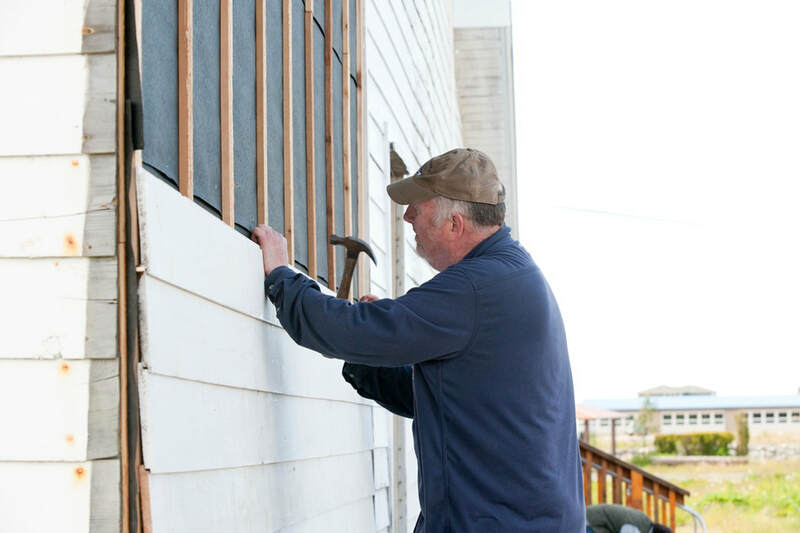 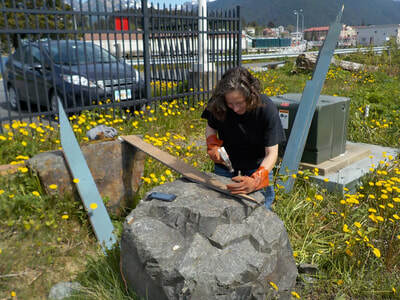 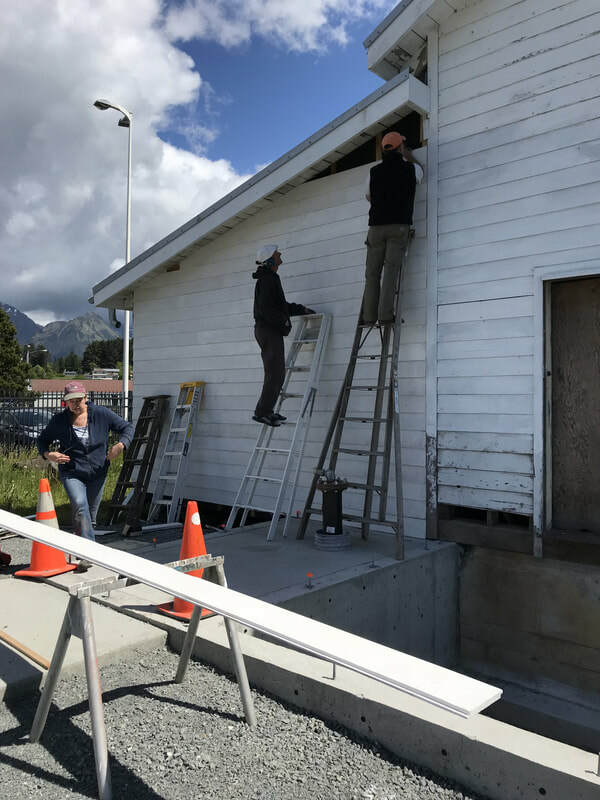 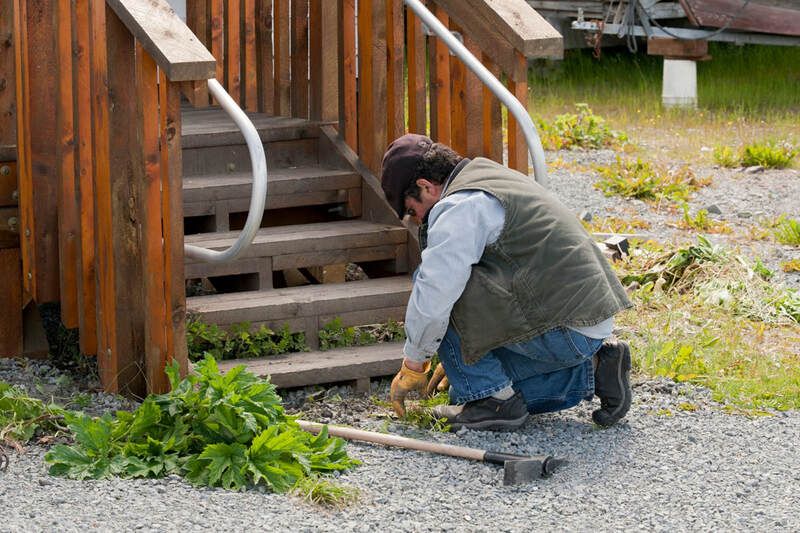 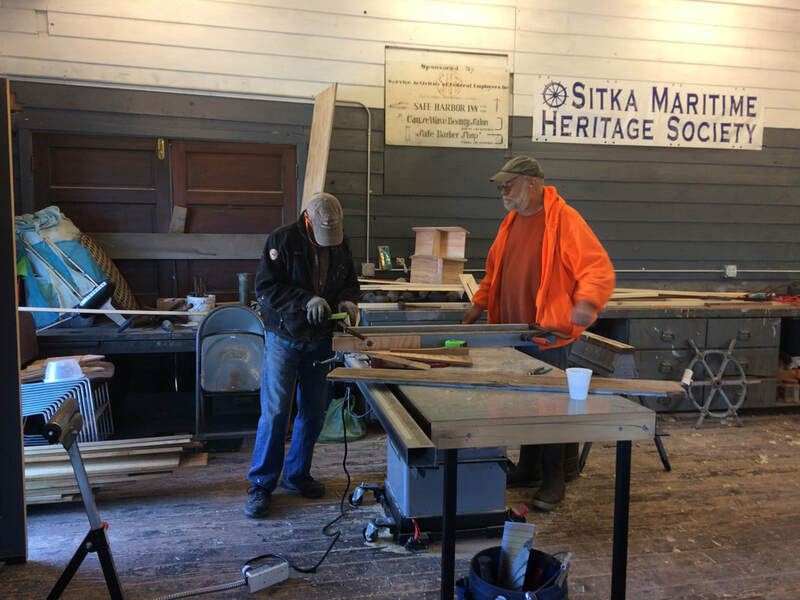 Volunteer work goes toward matching grants, such as the Certified Local Government (federal Historic Preservation Fund) grant for the addition foundation and utilities. 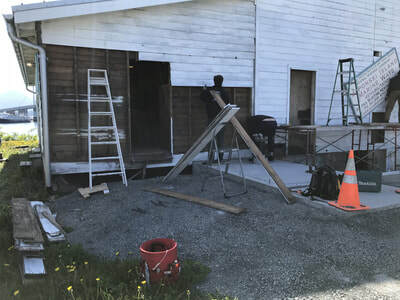 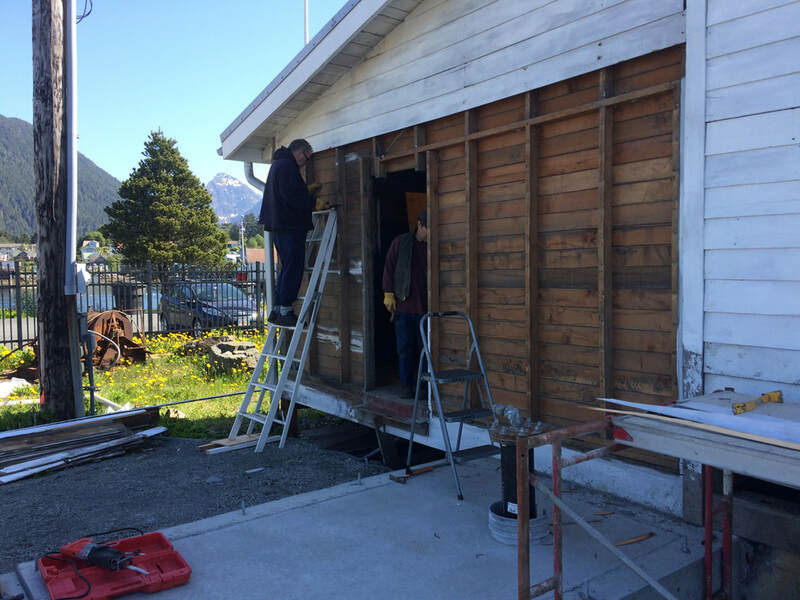 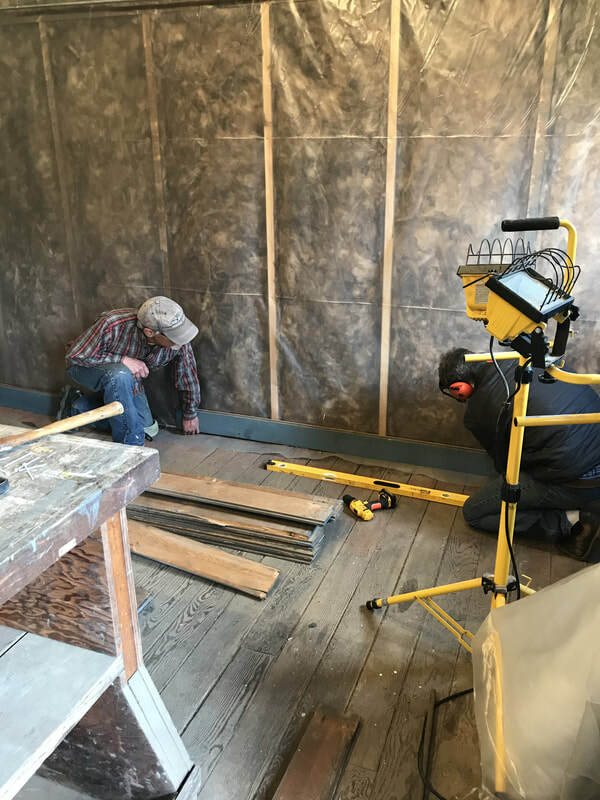 Our construction documents (Northwind Architects) for the historic rehabilitation of the building call for adding a layer of plywood sheathing, infiltration barrier, vapor barrier and insulation to the walls, while retaining as much as possible all the original surfaces. 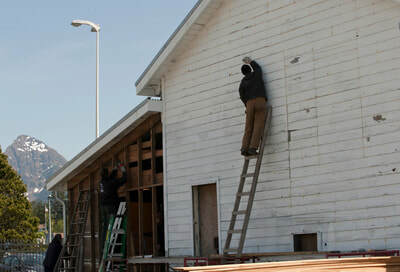 The goal is to make this a useful, efficient building that retains the "feel" of the original. 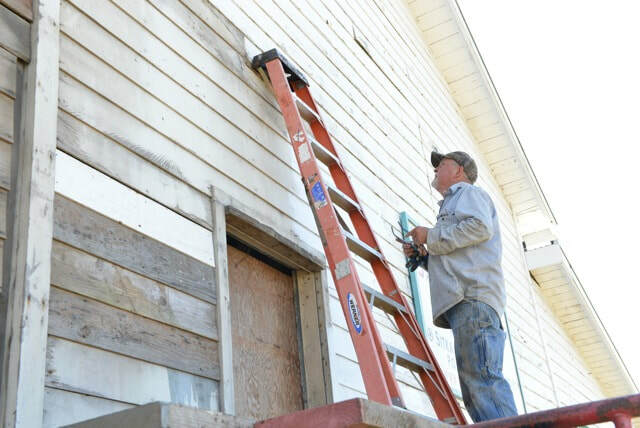 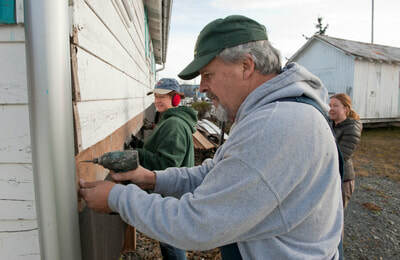 Some of the original siding is too rotten for re-use so we are filling in with new siding milled to match the original. 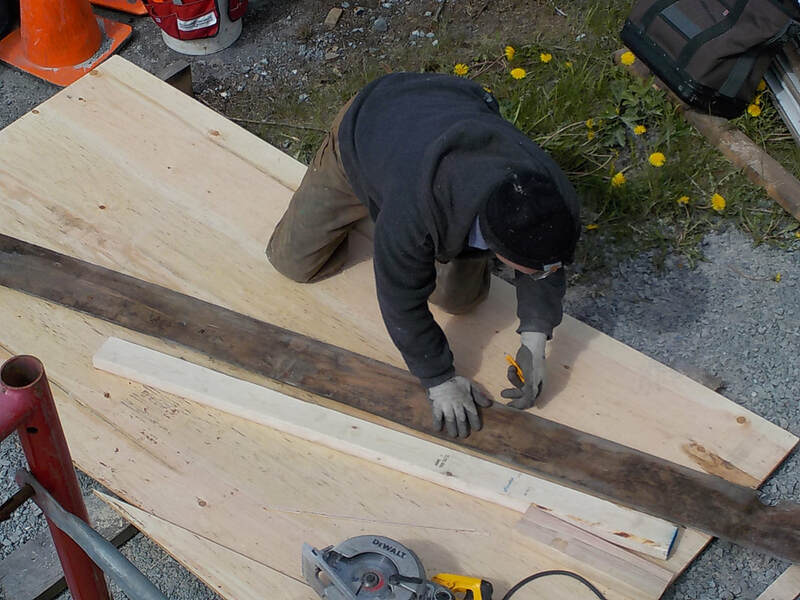 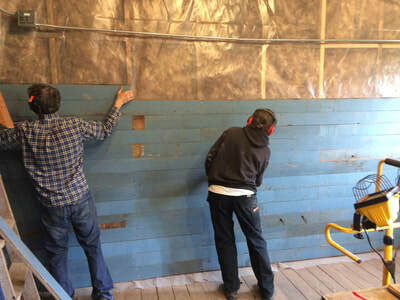 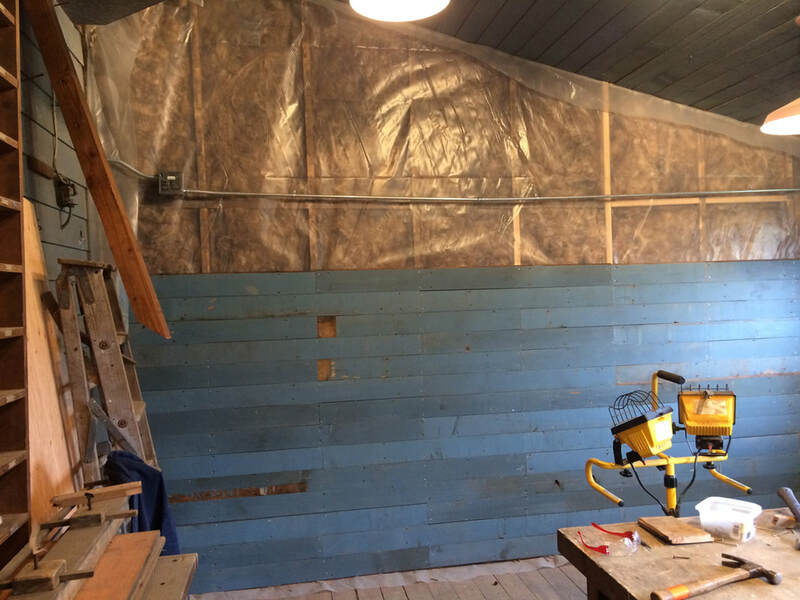 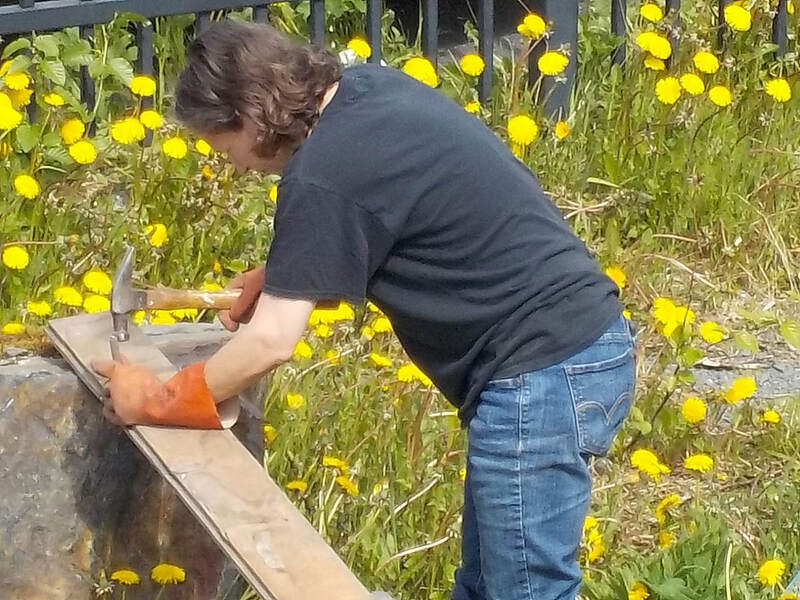 And because we are shipwrights, new siding is sealed on the building side with linseed oil. 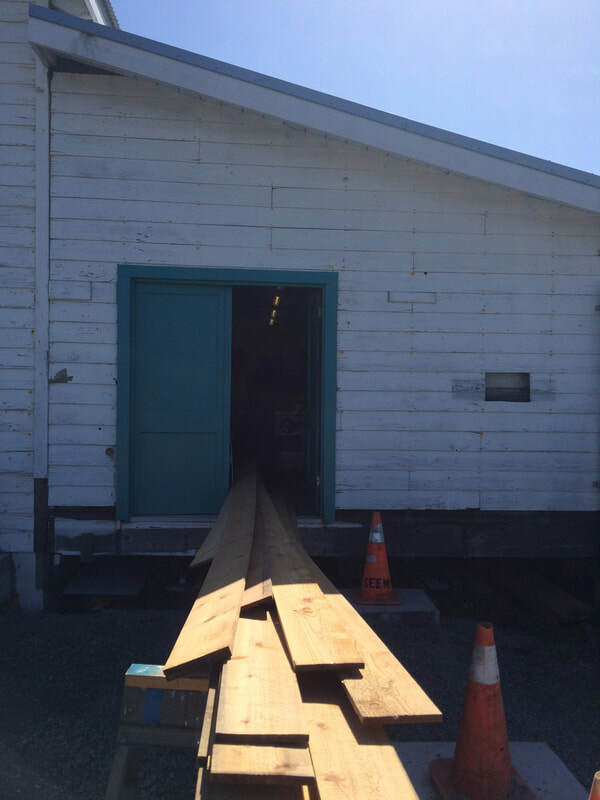 There is also a breather space behind the siding. 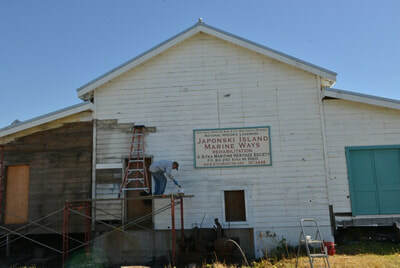 The building and our rehabilitation is being thoroughly documented.